Since I have yet to acquire a WWII Hanhart, thought I'd share another German mil piece from the second great war of last century. 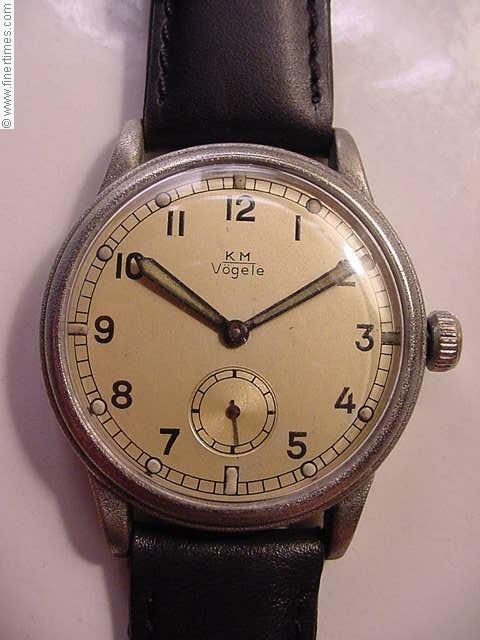 Picked up this very cool wabilicious Kriegsmarine (KM) Berg recently. One of the hardest KMs to come by, the Berg has a larger then usual case width measuring 35mm. Movement is a baguet PUW 500 (Pforzheimer Uhren-Werke). Great little movement giving 42hrs of power and keeps excellent time. Would anyone know if other KMs with the PUW 500 movement also have the wider 35mm case width? Other 35mm KM watches with PUW 500 movement. Pics borrowed from Zaf. Last edited by EZMone; 16-02-2010 at 07:11. Neat KM, Dan - looks like it's spent some time at (or under - U-boat) the sea? 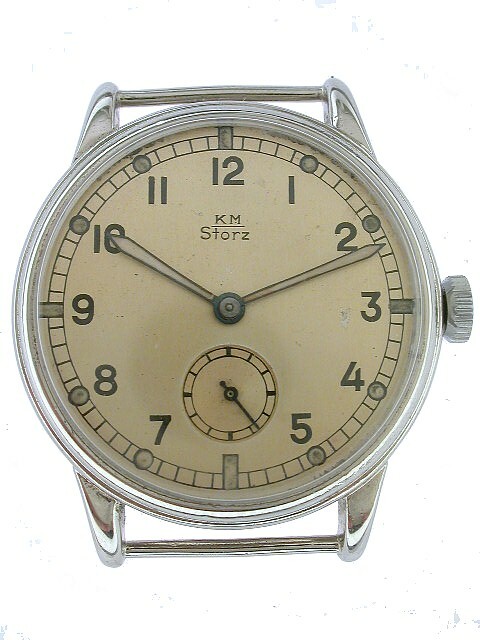 As a very generalisation, it's interesting that the Kreigsmarine generally specified KM on the dial with, in the case of the Hanharts (usually!) 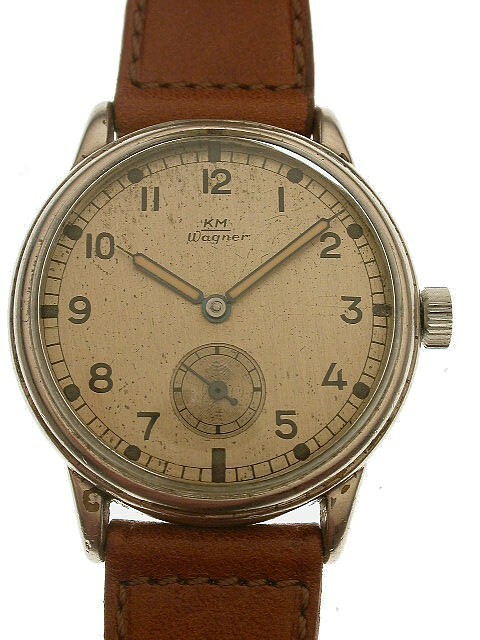 the eagle and the letter "M" for Marine on the caseback with a specific serial number, whereas the Wehrmacht engraved "DH" on the caseback for Heer, and the Luftwaffe often added no special markings at all. Was your KM from Zaf by any chance? 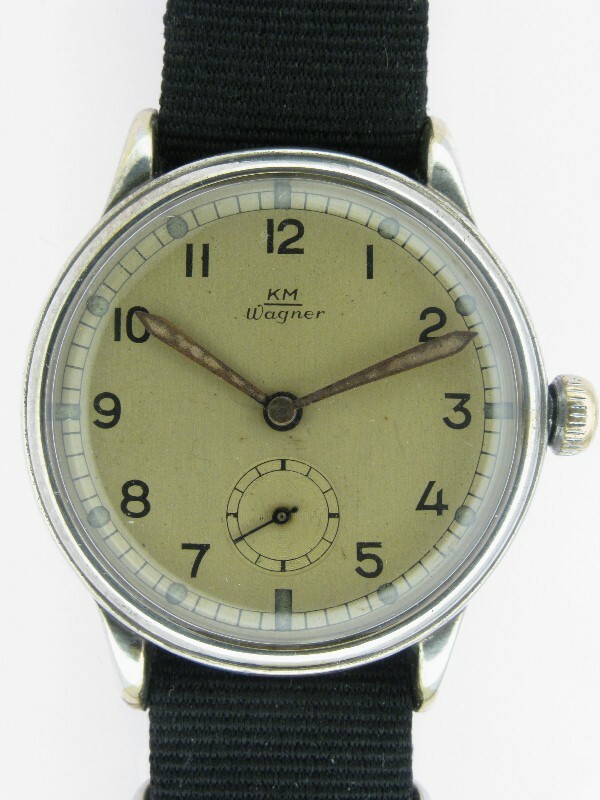 Picked it up from Steven James, retired watchmaker and one of the founding members of MWR. No sure if you recall his recent PX post selling most of his collection. Great bloke, I couldn't believe he was from my neck of the woods, here in Sydney. Will try and invite him here if he is willing to get back on the forums. Yes, I saw that - you sure move fast! Would be great to have Steven on board here, so please invite him over.